Ben Payne joined with the National Youth Theatre of Great Britain joining in 1995 as one of the youngest ever technical members. After leaving school in Cambridge and a few years “freelancing” throughout the industry, Ben in April 2003 took the role of Chief Electrician and subsequently Technical Manager for Cambridge Arts Theatre. After leaving the Arts Theatre in September 2005 Ben formed Illuminate Design. Throughout his life in the technical theatre industry Ben had the pleasure of lighting over 70 different productions for a wide range of different styles of performance. Various career highlights include lighting for Sir Trevor Nunn at Cambridge Arts Theatre, as well as lighting over 23 pantomimes over the span of 10 years at some of the largest theatre’s in the UK. As well as lighting many different show’s Ben also took the role of Production Manager for a number of different companies, which meant plenty of traveling to all parts of the world. 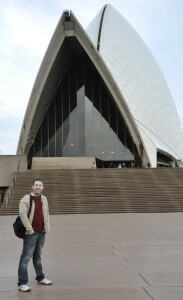 Highlights included taking shows to Broadway and Sydney Opera House. Since 2013 Ben’s f ocus was with the development of Illuminate Design. This has lead to the increase of the full time staff count of 6, a 3000 sq ft warehouse/office space and a much increased presence within the industry both on a local and national level. A number of key projects have been completed thanks to Ben’s work. 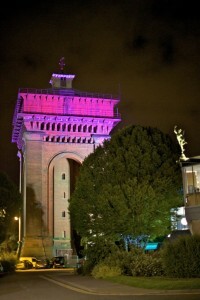 One of which was the delive ry of the “Big Screen” project in Colchester, another was lighting the historic “Jumbo” water tower in conjunction with one of the town’s councillors. 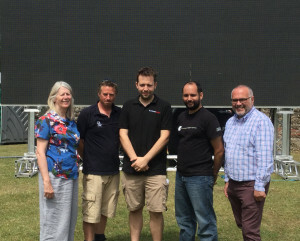 In summer of 2015 the Colchester Winter Wonderland and Ice Rink was launched – something that Ben had been working on for nearly 2 years. The project opened to great success, ticket sales ahead of target, but sadly due to the highly un-usual warm weather the event closed just before Christmas. Locally in business Ben has given talks to the Essex Chamber of Commerce, he’s a member of Hythe Forward Business network and also the Colchester YP Network for young business people. Away from work Ben enjoys being a season ticket holder at Cambridge United Football Club, a keen follower of 4 wheeled motorsport and going to the gym. For the start of 2016 there is a new chapter in Ben’s life with him leaving Illuminate Design for new and fresh challenges which saw him join SLX/Stage Electrics heading up the sales in the theatrical and dry hire market place. At the end of 2017 after a number of offers from companies moved to HSL to carry on a similar role to which he was carrying out at SLX. After a very brief stint at HSL Ben was was head hunted by Harman to head up the Sales role for Martin in the UK and Ireland.